‘This is a journey into sound…’ These familiar words, accompanied by the rumble of a distant train, signal the opening of ‘Let’s Take A Trip’, the sophomore album from Terrel Wallace aka Tall Black Guy. Since 2013’s ‘8 Miles To Moenart’, TBG has cemented his position as a standard bearer for the current hip-hop / beats scene. Born in Detroit and now residing in the UK, Wallace’s signature style of incredibly clever sample flips and deft production chops has won fans across the globe including Gilles Peterson, Lefto, Jazzy Jeff and House Shoes. Since his debut release in 2011 (a daring and addictive flip of Fela Kuti), TBG has become revered for his unique take on soulful hip-hop production. The swing of the drums, the textures of the instrumentation as well as a fearlessness in taking on the classics (his Soundcloud page includes flips and chops of tracks from James Brown, De La Soul and Michael Jackson) have marked him out from the crowd. One of the best-kept secrets in the scene, his singular talent is now beginning to get the recognition it deserves. In the last 12 months he has remixed Little Dragon and been invited to take part in Jazzy Jeff’s Playlist Retreat alongside the likes of Eric Lau, James Poyser, Ali Shaheed Muhammed, Questlove and countless others. 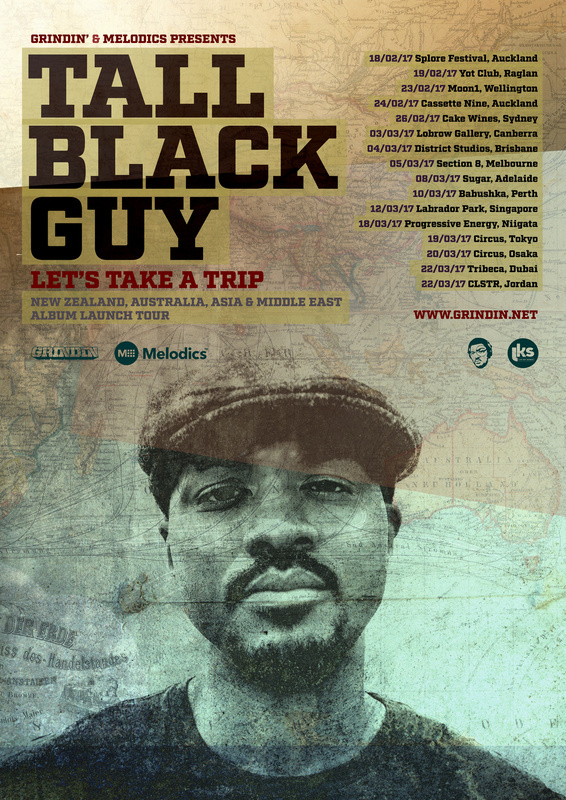 Tall Black Guy will be launching his album across New Zealand, Australia, Asia and the Middle East in February and March bringing his signature sound to a city near you.